The Demonized Hellcat Challenger in Action! 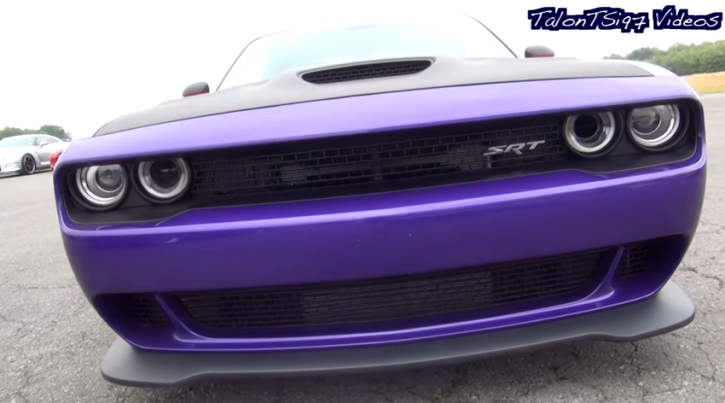 The guys at Demon Performance have certainly unleashed the beast in this Plum Crazy Purple Dodge Hellcat Challenger. With few modifications and the proper tuning these boys have squeezed 878 horsepower out of the 707 factory rated modern muscle car. The Demonized Hellcat Challenger is doing some pretty good passes and although most of you will say that 11 seconds at the 1/4 mile is nothing special, don’t forget the race is held on unprepped surface. Check out the video and don’t be selfish – Share with Friends!